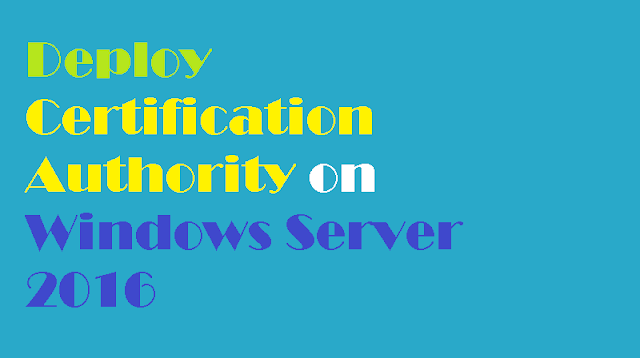 This article will guide you through the steps to install and configure certification authority on Windows Server 2016. 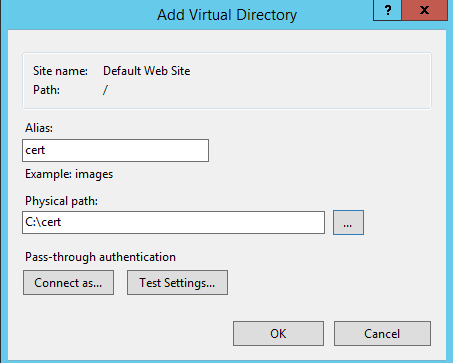 We will be using test.com as our active directory domain through out this guide. 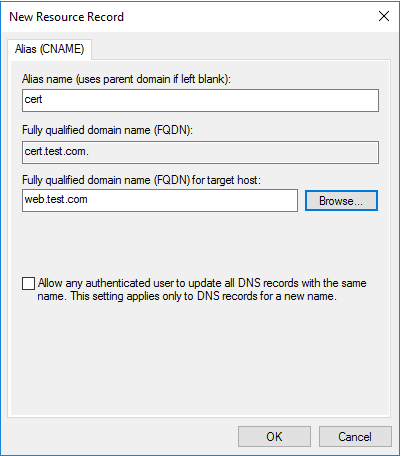 To create CNAME record, Open up DNS Console on your active directory domain server and provide the required information according to your environment as shown in image below. 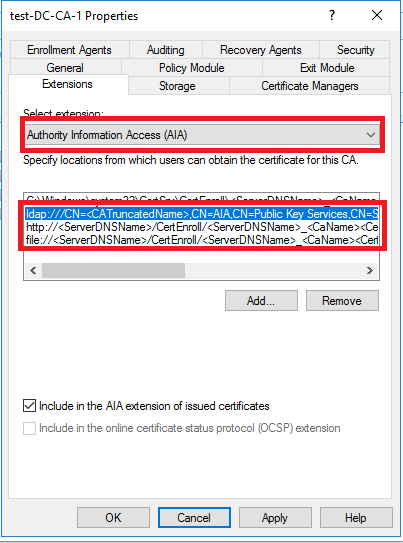 You need to create a shared folder where Certificate Revocation List (CRL) and Certificates from Certificate Authority (CA) will be stored. 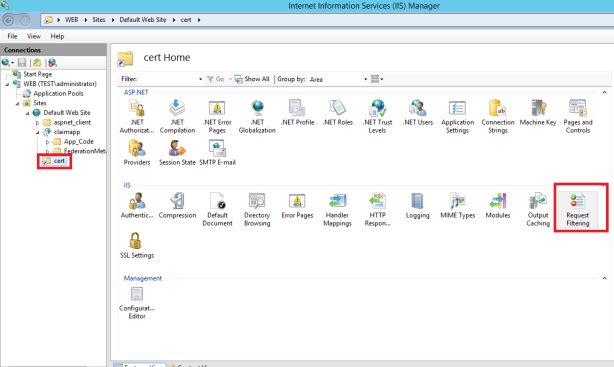 Now, download NTFS Security module from here and import it using the following command. 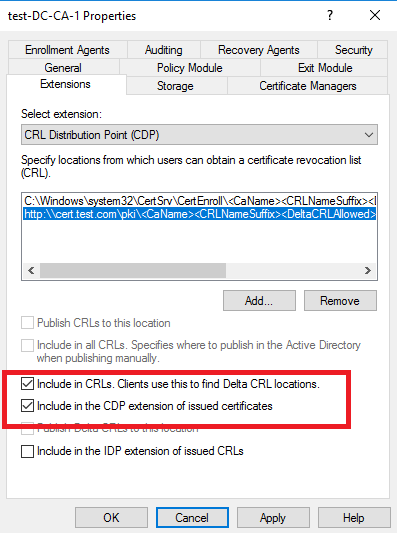 You need to authorize NTFS Read permissions to Everyone and Anonymous logon using the following command. Provide the following information according to your environment and click OK.
You need to provide following information in this file. 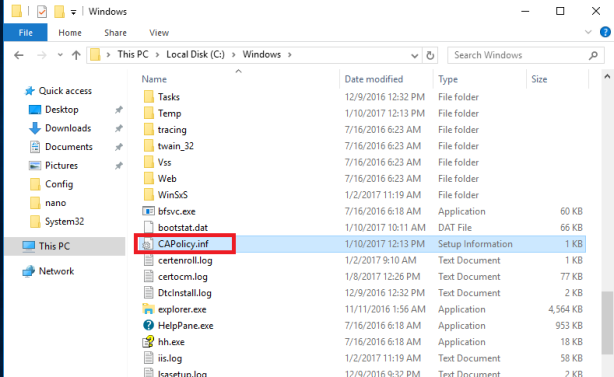 Open up PowerShell on your Active Directory Domain and type the following command to install CA Role. 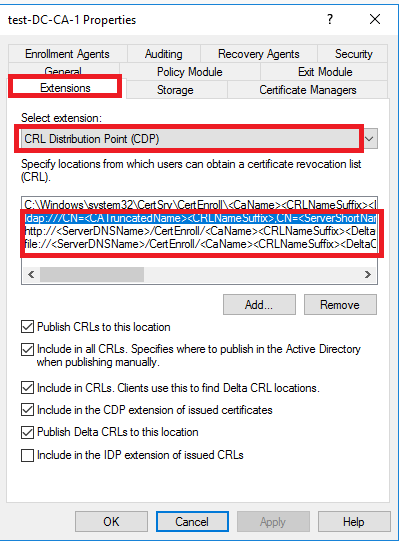 Open up Certificate Authority console and click Extensions tab in Select Extensions then select CRL Distribution Point (CDP). 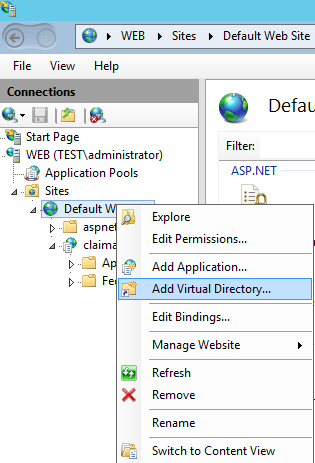 Delete last 3 entries:(ldap,http,file) as shown in image below. 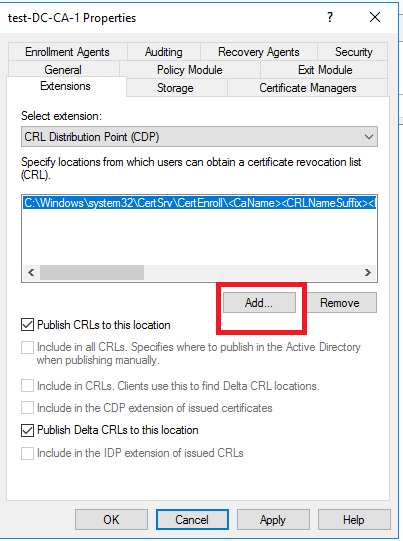 Its time to publish certificate to made it available to our users. 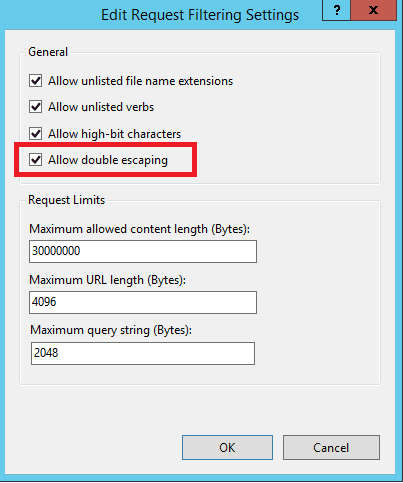 Open up PowerShell and execute the following command. 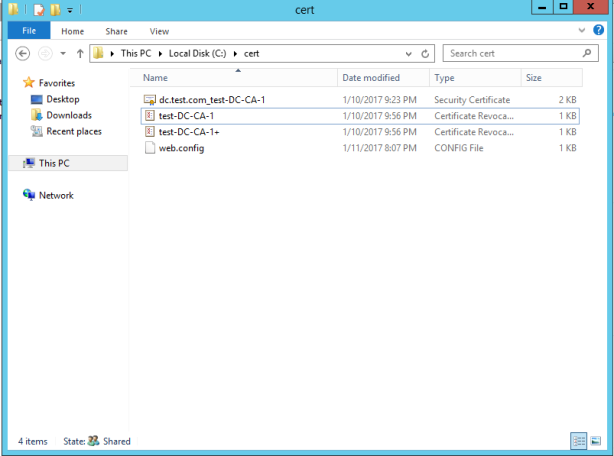 We have successfully completed the deployment of certificate authority. 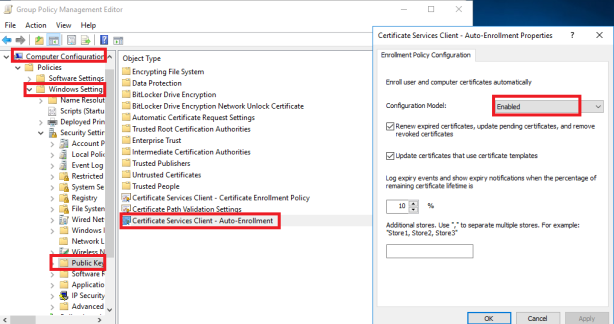 Can we set up two server in fail-over environment for certification authority? 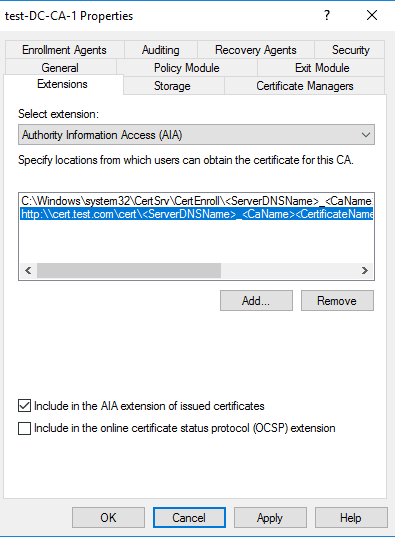 Can we install Active directory domain services and certification authority on a single server?